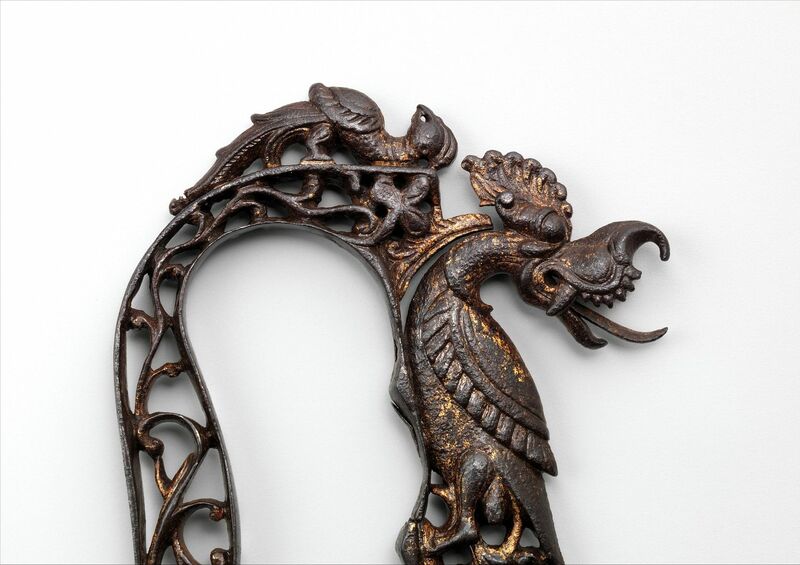 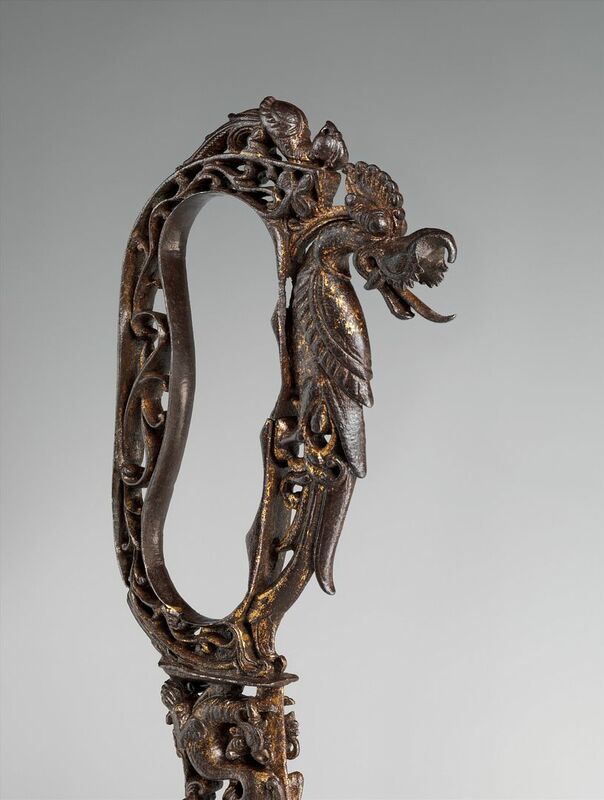 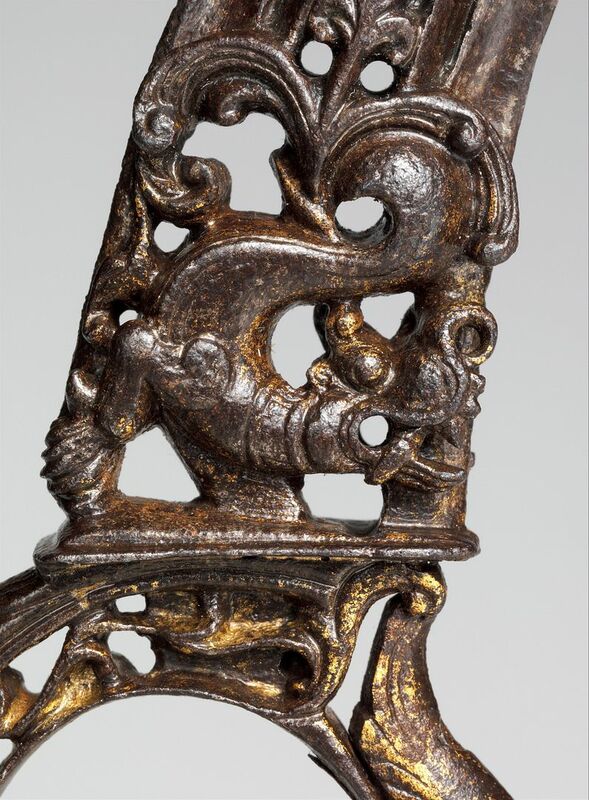 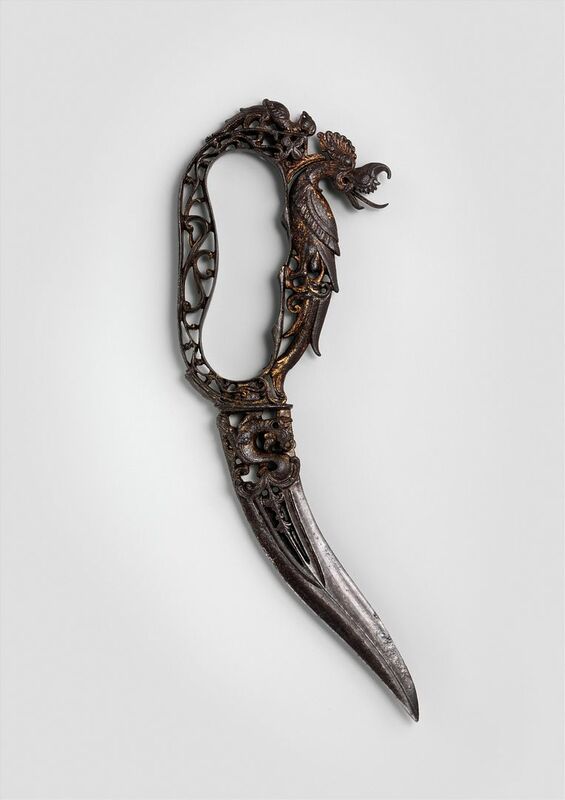 This intricately crafted dagger is among the best examples of ornamental steel chiseling from southeastern India, an area renowned for that art in the past. 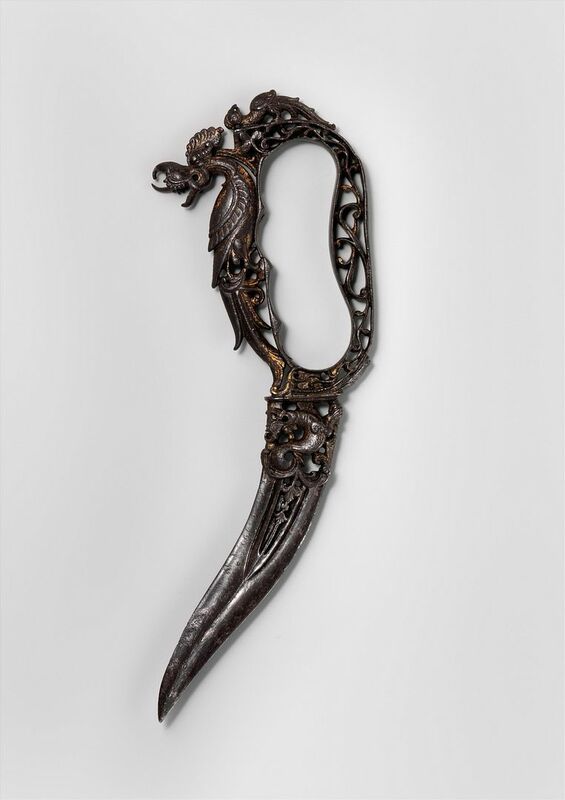 It may belong to a group of ornately decorated weapons that was preserved in the palace armory of Tanjore (present-day Thanjavur, Tamil Nadu) until the 1850s. 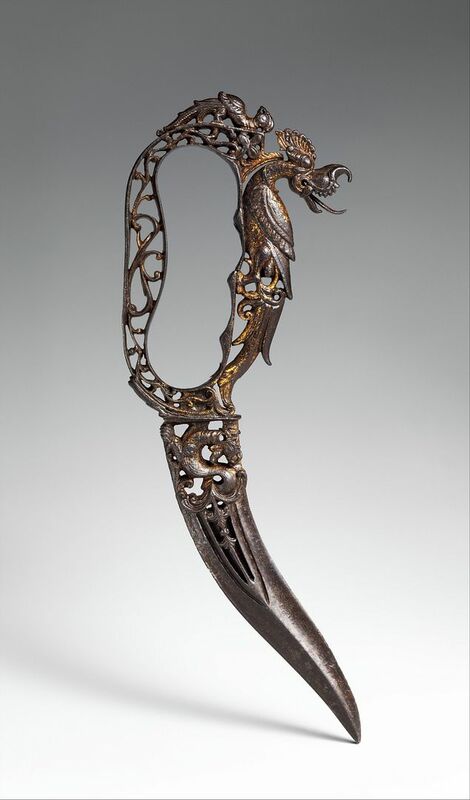 The dagger is particularly noteworthy for the fineness of its workmanship, including complete figures in the round, and for retaining areas of original gilding, which is entirely missing on most surviving pieces of this type.